You can read the full story and see the recipe here. 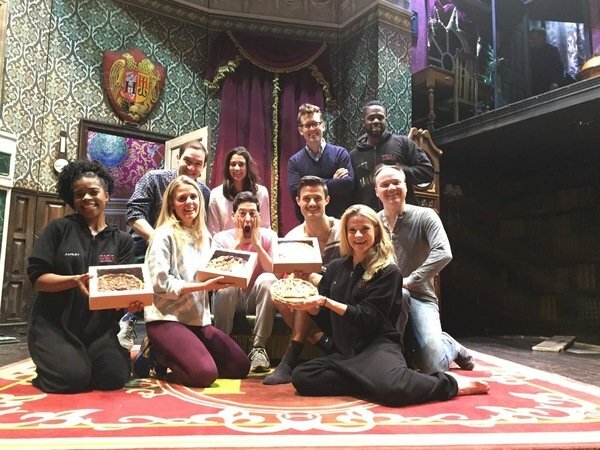 November 2017: "The play that goes wrong kicks off holiday season with pie from master baker ellen gray"
April 2017: "Why this birthday cake is different from all other birthday cakes"
My father always presided over the holiday table, telling the story of lengthy Seders he endured as a child and how his grandfather would try to fast forward through the Haggadah only to be reprimanded by his grandmother. JANUARY 2017: "Two Fistfuls of Flour, One of Shortening"
At the helm of the kitchen was Jessie, a formidable presence who turned out three meals a day for a family of six, and also found time to fill cookie tins and bake our birthday cakes and birthday pies with seeming ease. JANUARY 2017: "The Other Pie Day"
Pie’s lesser-known celebration, National Pie Day falls on the 23rd of January. Launched in 1986 as a marketing ploy by the American Pie Council to increase sales of Crisco on the famous blue labeled shortening’s 75th anniversary. The Council hoped this would provide the perfect incentive to encourage pie baking among the country’s home cooks. 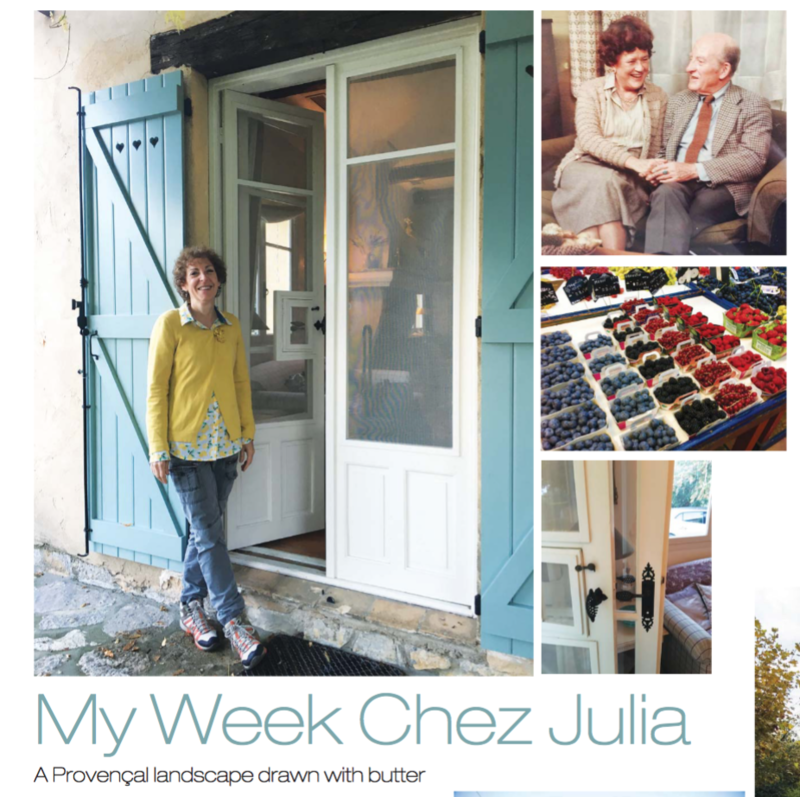 December 2016: "My Week chez julia"
Ellen's "Provencial Landscape Drawn With Butter" appears in Matters Magazine. "Non, non, not La Pichouline! La Pitchoune. 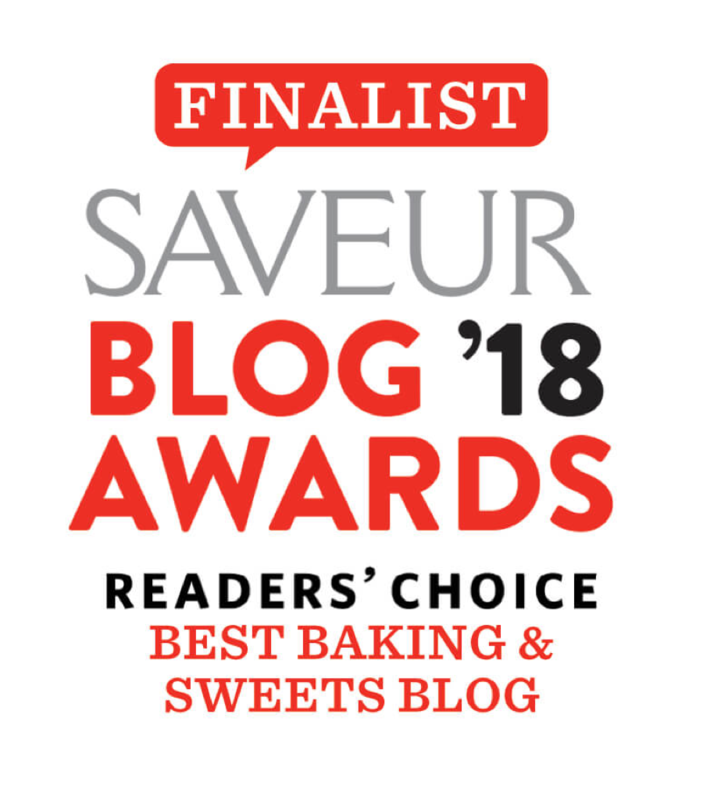 Ici... Our food itinerary includes but is not limited to croissants and local yogurt for breakfast, rich cheeses and charcuterie plates for lunch and dinners abundant with fresh herbs, garlic, olives and wines from the region." Read the full article here. Or, if you're local, turn to page 14. NOVEMBER 2016: "Pie strategies from a baker who makes 600 for thanksgiving"
Want to know what it's like to bake 600 pies for Thanksgiving? Senior Staff Writer & Stylist of Food52 sat down with Ellen to talk Pie-Production for Thanksgiving. Read the full article here. NOVEMBER 2016: "PIE IT FORWARD"
October 2016: "Sweet New year apple pie"
Celebrate the New Year 5777 with a sweet apple pie as featured in Spoonful Magazine. Congratulations to Julie Pauly and the Able Baker for their wonderful article in the New York Times. 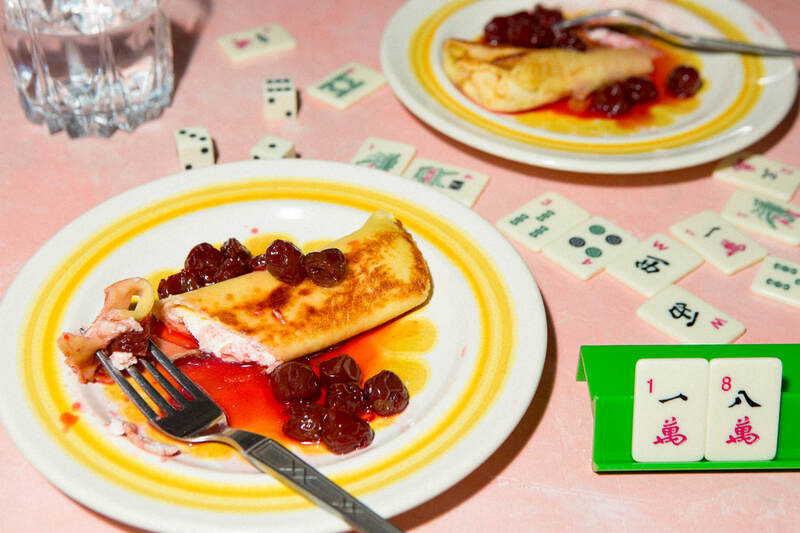 ​Thank you Fran Schumer for the pie shout-out. So happy you like the pies! 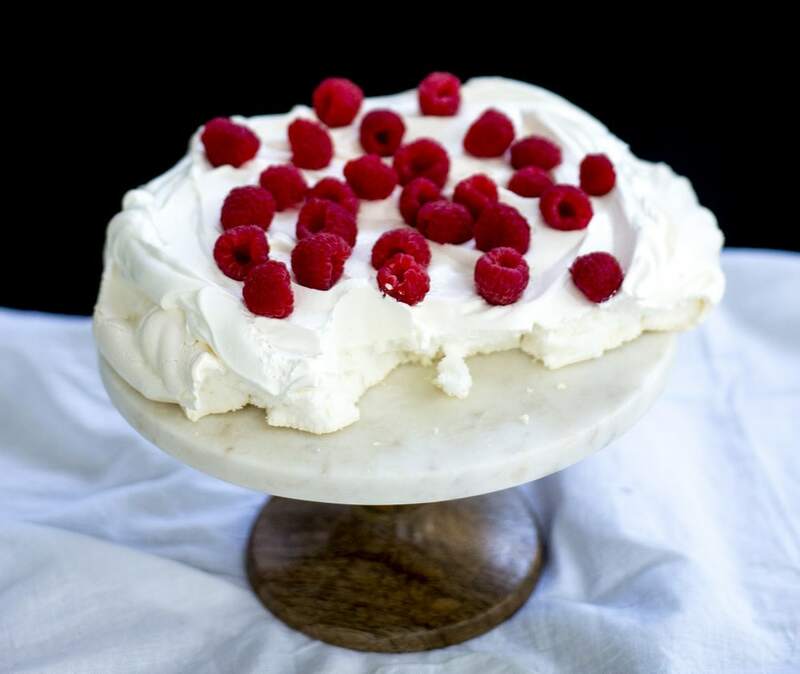 "What We Liked All scones, even the gluten-free ones; all cookies, especially espresso shortbread half dipped in chocolate; all cakes, especially golden with chocolate buttercream; all pies, even oddities like buttermilk and maple buttermilk." Maplewood Matters Magazine - NMMNP's newest piece, "Artistic License" is featured in the winter edition. You can read "Artistic License" here. Locals can turn to page 37 in hard print. "A gifted illustrator, Tomlin works in a number of media, including the bakery's sugar cookies, intricately detailed in royal icing." Maplewood Matters Magazine - Fall edition is hot off the press and includes an article written by No More Mr. Nice Pie! 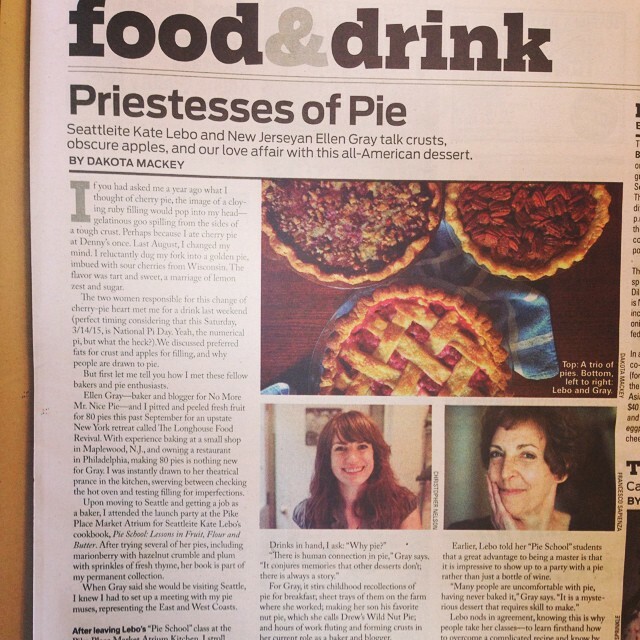 "Priestress of Pie" discusses One Big Table / Cook n' Scribble's Longhouse Food Revival, The Able Baker, and Ellen's upcoming book, Why Pie? "Hungry for something completely different from days coaxing fruit into pie shells, I had an idea for a book,but needed a jump-start"
​"My own contribution was revealed after dinner in the form of dessert: 80 pies, baked in the span of two days"
​"The weekend concluded with a sumptuous country-style breakfast that demonstrated how almost everything is better with 50 pounds of bacon"
No More Mr. Nice Pie featured on Midlife Boulevard Read again here! 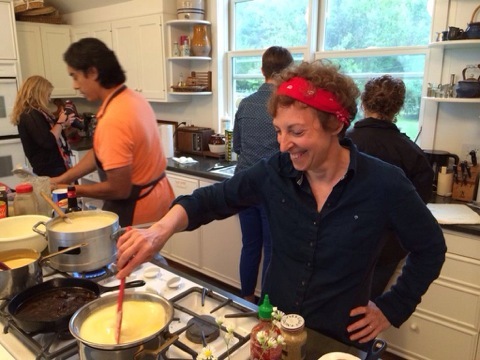 We're hosting our first hands-on cooking class on Monday, October 19th from 7-9pm for $80! 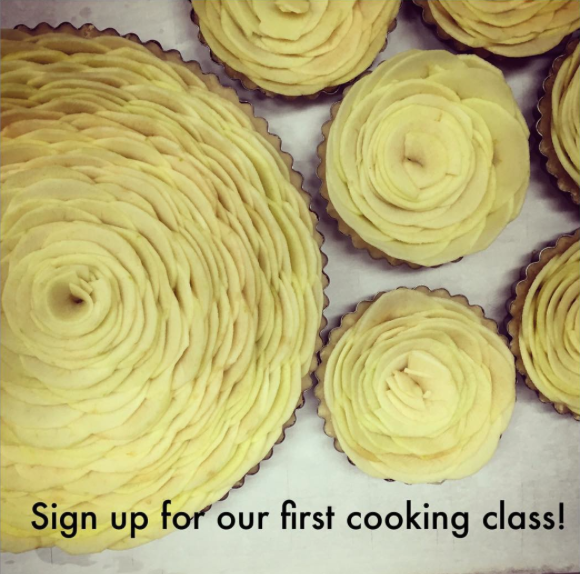 Want to learn how to make these gorgeous apple tarts? 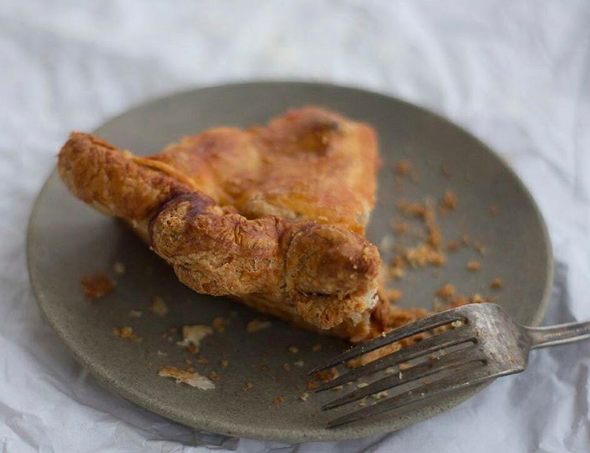 How about a perfect double crust apple pie? Settle in with a glass of Prosecco, slip on an apron and let us lead you through making your own crust, rolling it out, slicing apples and perfecting the filling. You'll make a pie and a tart and pack up your creations to take home with you. We'll also taste a slew of local apples to learn which are best for baking. 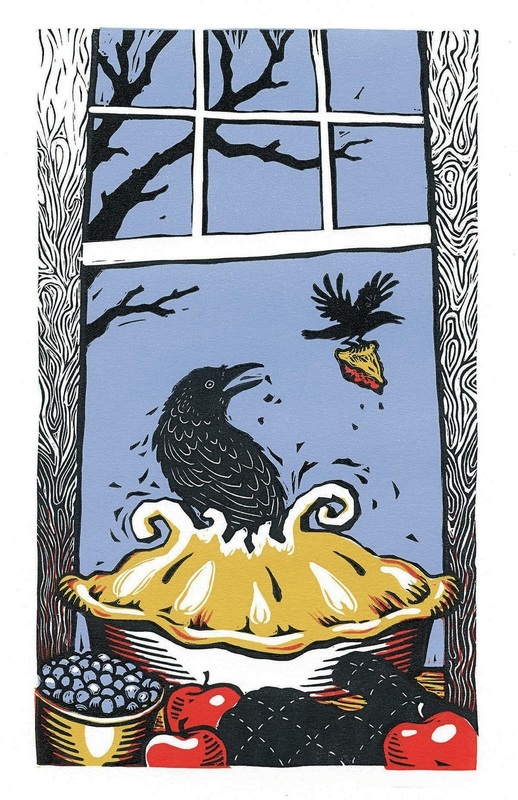 Class will be led by No More Mr. Nice Pie Ellen Gray and Once Upon A Tart Proprietress @aliciaawalter. 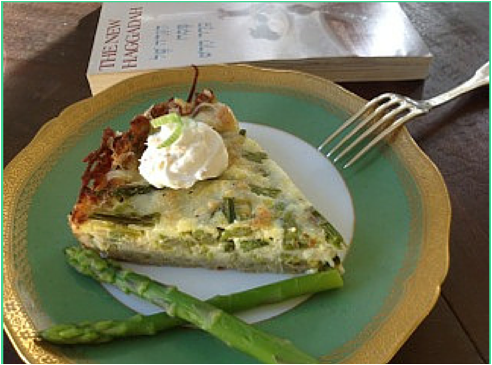 Midlife Boulevard is gearing up for Passover and featured No More Mr. Nice Pie's Asparagus and Leek Pie with Potato Crust. For those of you who were able to grab a ticket, we're looking forward to seeing you next Monday! Details and Updates regarding the event can be found here, here, and here. Thanks to you and 221 others, Little BIG Books has been successfully funded. Congratulations! Now you can visit the project’s comments and celebrate with your fellow backers. 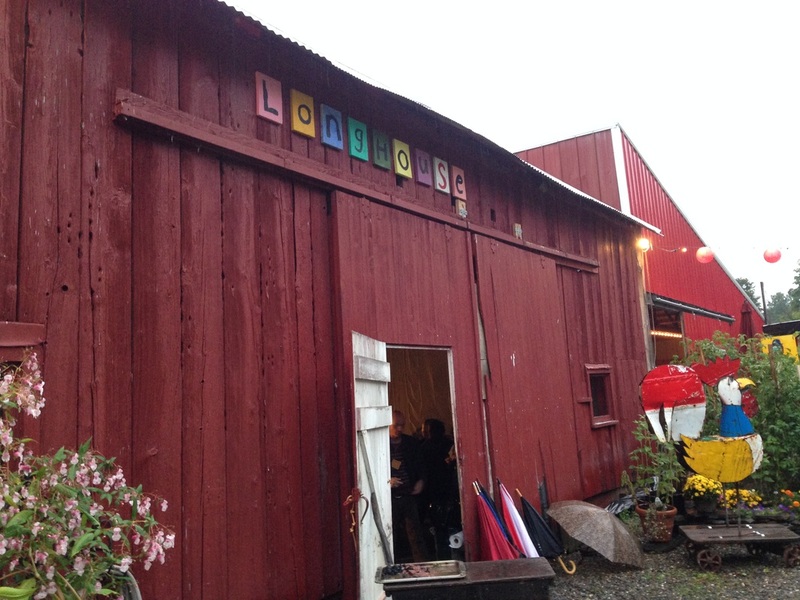 Baker by day, writer by night, Ellen completed the month-long LongHouse Food Scholar's Program under the helm of Molly O'Neill. Ellen is currently researching and penning a Little BIG Book called WHY PIE. 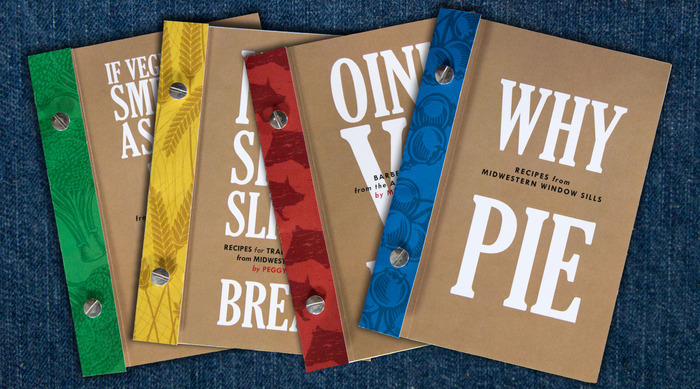 As part of a four-part series, WHY PIE explores the role of pie in the Midwest. For more information or if you would like to donate to the project, check out the kickstarter.